We interrupt our regularly scheduled programming for this brief announcement: I added a recipe index to the site for easier navigation. I always have different motives when visiting a food blog. Sometimes I just want to peruse the updates and see what’s new, but sometimes I’m looking for a specific recipe. The index will hopefully make Willow Bird Baking more useful for folks who want to find a recipe quickly. Also, while this isn’t cooking related (at first, I typed “cookie related,” so you can see where my mind is), it is craft and style related, and I’m sure many of you are interested in that as well. My mom has opened her new shop on Etsy: Posh Pilfer. 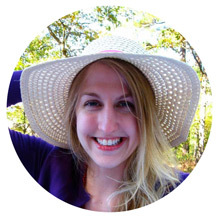 She has hand-sewn and hand-crafted, quality offerings for kids, babies, pets, and family. 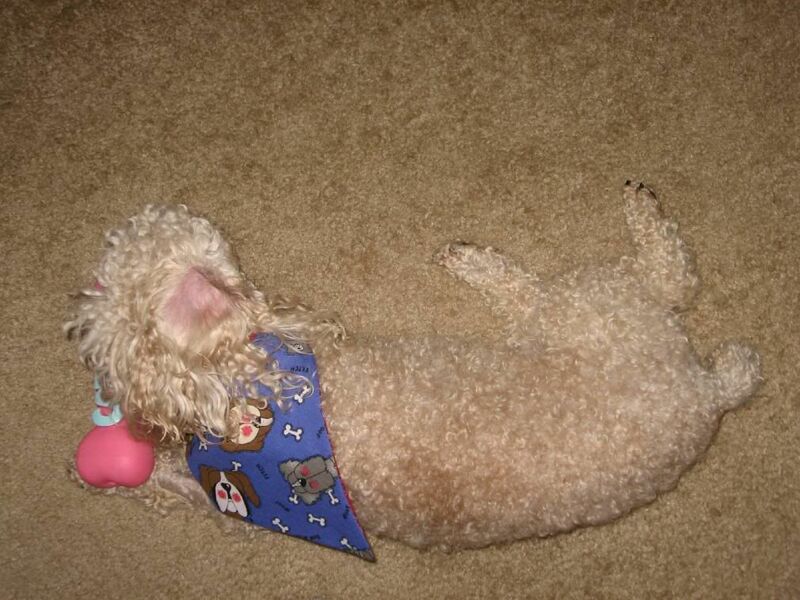 My personal favorite is the dog kerchief that threads onto your dog’s collar to stay in place. Byrd loves hers, as you can tell; she even got to model for some of the shop’s photos. Please hop on over to Posh Pilfer and take a look! 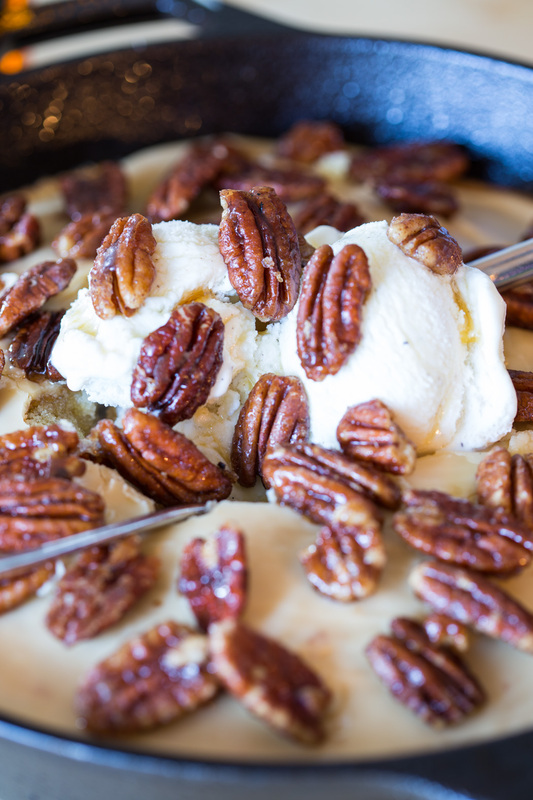 This is one of those recipes that you should go make right now! It’s that delectable. It all started so innocently . . .
Well, not really! 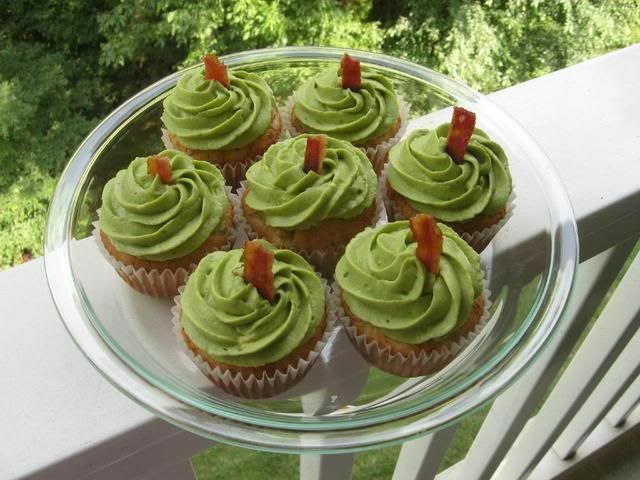 It all started with my love of cupfakery and my desire to create a delicious savory cupcake. 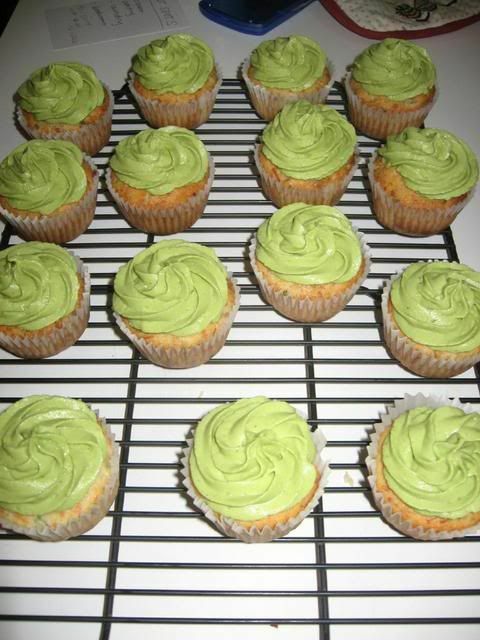 I knew I wanted to use a creamy avocado frosting, and I just had to think of some complementary ingredients. It struck me that a cheddar bacon biscuit (one step up from a simple cheddar biscuit, and we all know that those are already delicious) would be perfect. And, hey, how about throwing in some chives? Some caramelized onions? Oh, yeah! The base recipe here is for cheddar biscuits similar to those you find at Jim N’ Nicks, a barbecue chain. 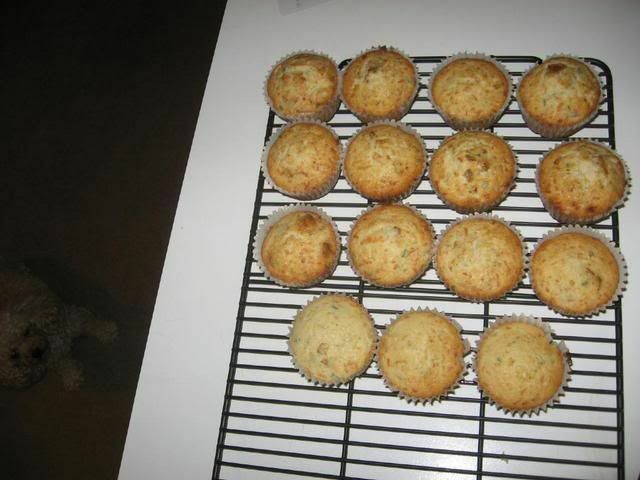 The recipe produces a savory muffin with some sweetness to it. 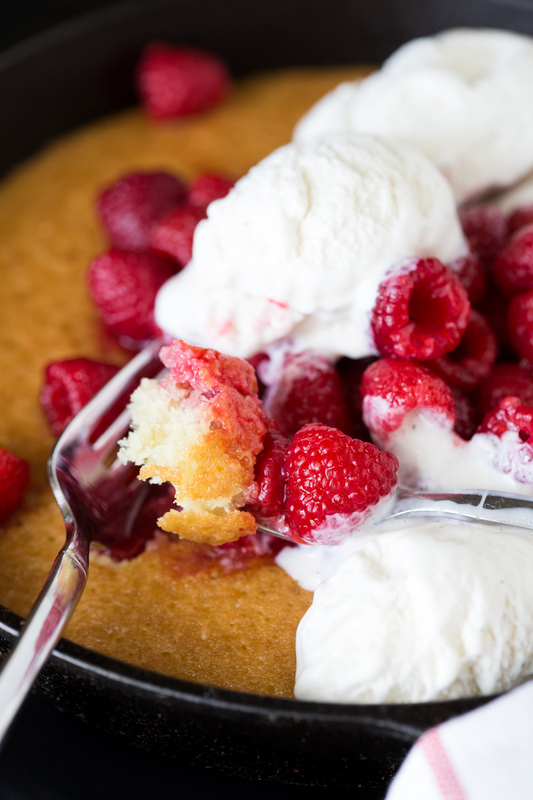 If you don’t like jam on your biscuits or sugar in your cornbread, you might not be too fond of this base recipe. Feel free to cut down on the sugar or try a different cheddar biscuit base (Red Lobster’s recipe is delicious, but I’m not sure how it’ll work in the muffin pan) to mix your bacon, chives, and onions into. The avocado is the perfect cool-down topping for the bold flavors of the biscuit. 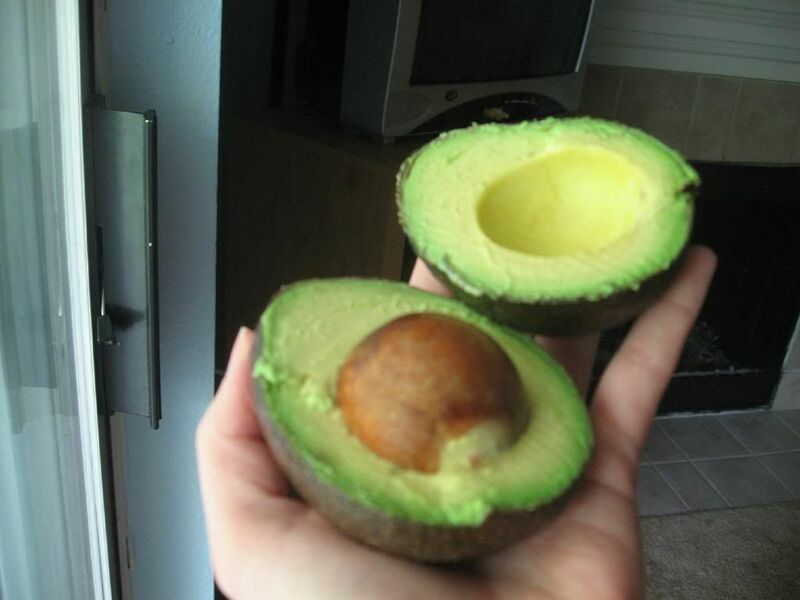 And really, apart from the delicious taste, I get a strange joy just from prepping an avocado. like shrugging on a blue shirt . . . 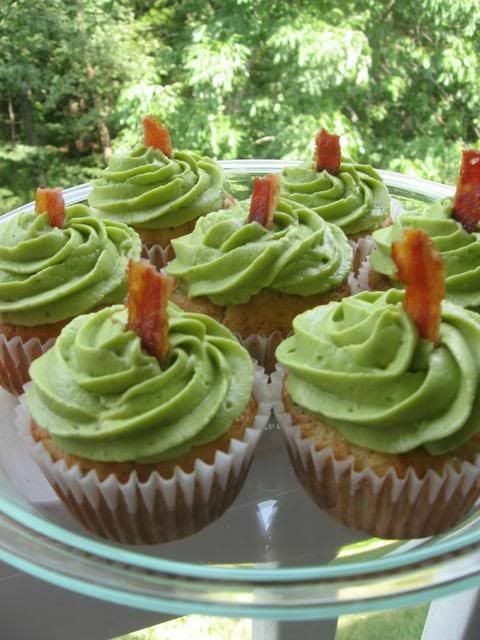 Enjoy the delicious bacon smell in your kitchen after making these cupfakes, and don’t forget to save your bacon grease for flavoring other dishes later on. Mike and I enjoyed eating the cupfakes with dinner, just as you would eat regular dinner rolls or biscuits. Only these are tastier! 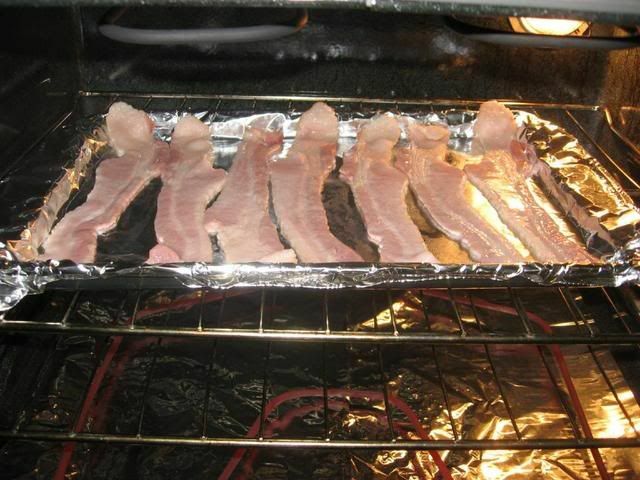 Cupfakes: Cook bacon on stovetop or in oven. I bake on a foil-lined baking sheet at 400 degrees for 15-20 minutes, and drain on paper towels. Crumble 4 strips into small bits, leaving one strip whole for garnish. In the meantime, pour 2 tablespoons of olive oil into skillet over medium high heat. Add onion and cook until caramelized, stirring occasionally. Set aside. Preheat oven to 400 degrees. In a large bowl, mix flour, sugar, cheese, milk, egg, butter, baking powder, vanilla, chives, caramelized onion, and bacon bits. Pour into a greased (or paper-lined) muffin pan. Bake for about 20 minutes. Allow to cool for a couple of minutes in pan, and then transfer to a cooling rack. Frost only when completely cool. 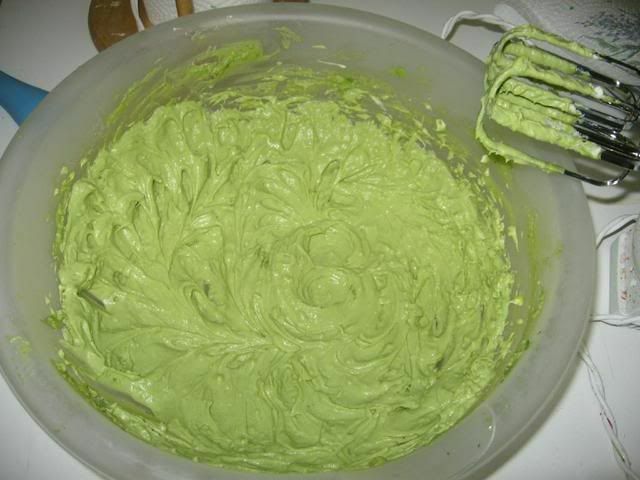 Avocado Frosting: Mash avocado flesh well in bowl with the back of a spoon or fork. I processed mine in a food processor to ensure extra smoothness. 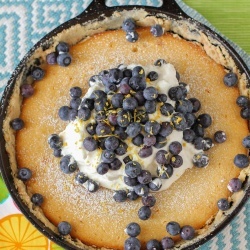 Add in lemon juice and cream cheese, and mix until you have a smooth, creamy consistency. Frost cupcakes with a big star tip (I use 1M). Garnish with pieces of bacon. NOTE on storage: Store cupcakes in airtight container in fridge when frosted. 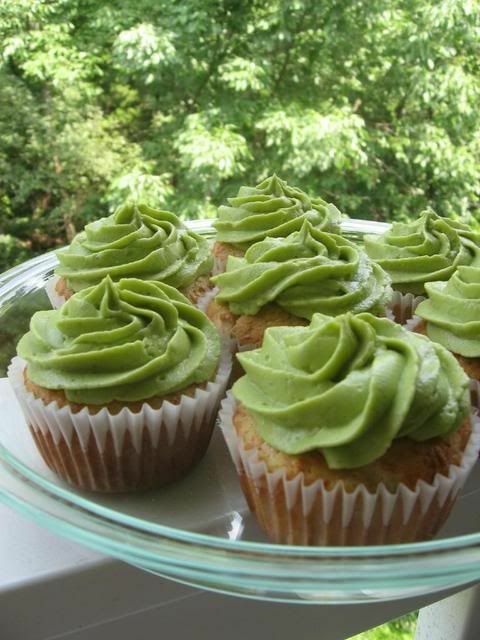 Place avocado pits in container along with cupcakes to discourage browning (but don’t fret if the frosting browns — it’s just oxidized, and still quite edible and yummy). You may even want to half the recipe if you’re just making these for your family, since they almost certainly won’t maintain they’re beautiful green overnight. For taking them to coworkers or friends, I would make the cupcakes ahead of time and frost immediately before the event. 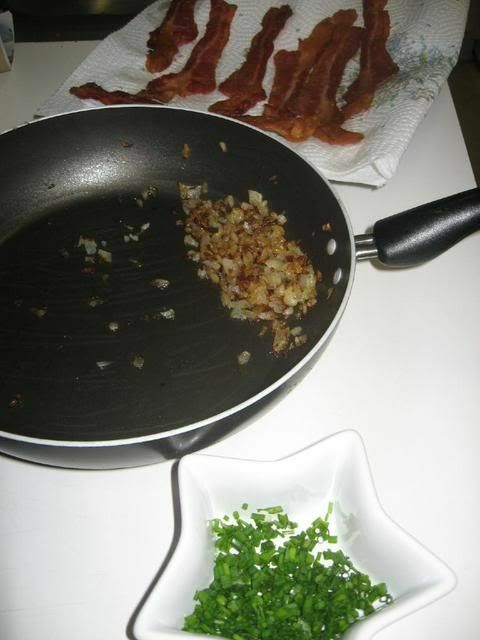 Caramelized onions, bacon, and chives. 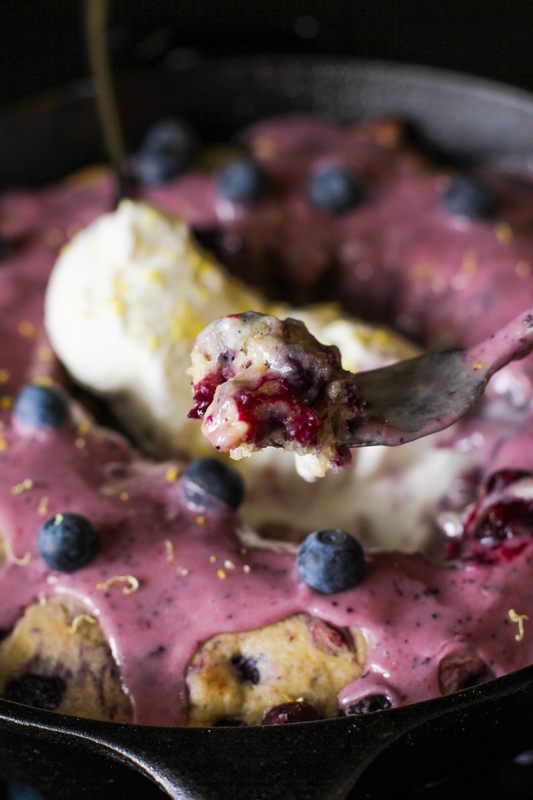 Bakerella always has something beautiful, creative, or adorable up on her blog. I was hunting around in April for something to make Mike for his birthday. I knew Bakerella would have a fantastic idea, and I wasn’t disappointed. 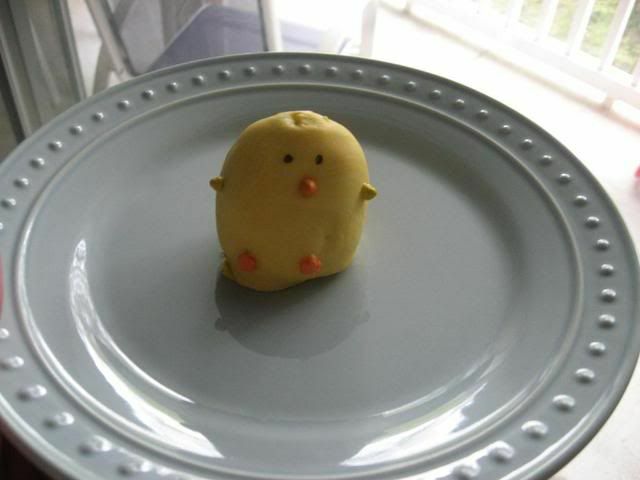 In fact, these are my absolute favorite baking achievement to date. Have I piqued your interest? Okay, okay! See this perfect little parcel? 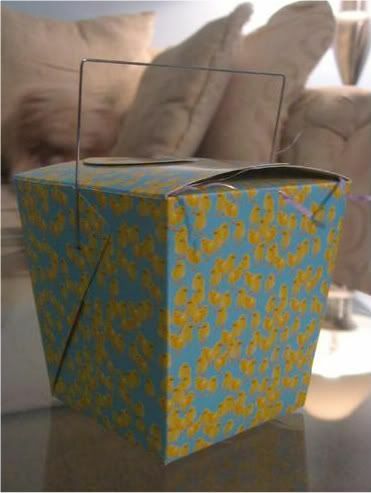 Want to see what’s inside? Peekaboo! Chocolate chickie cake balls! 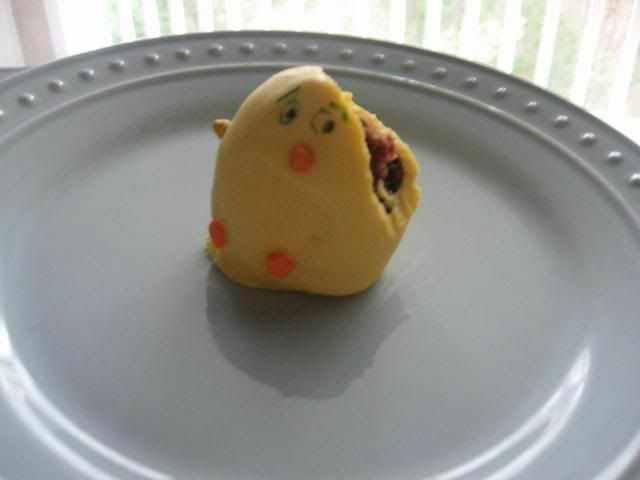 These little chickies are actually delicious chocolate cake and frosting rolled into a perfectly sized morsel, coated with chocolate, and decorated. Now the chocolate cake I used to make these isn’t just any old cake. It’s my favorite cake ever, and has been since I was a little girl. The ingredients come together to form something more spectacular than the sum of their parts. The cake is supremely moist, gooey, chocolatey, and fantastic. The really wondrous part is that it’s quite easy — so easy that I made it myself as a child. 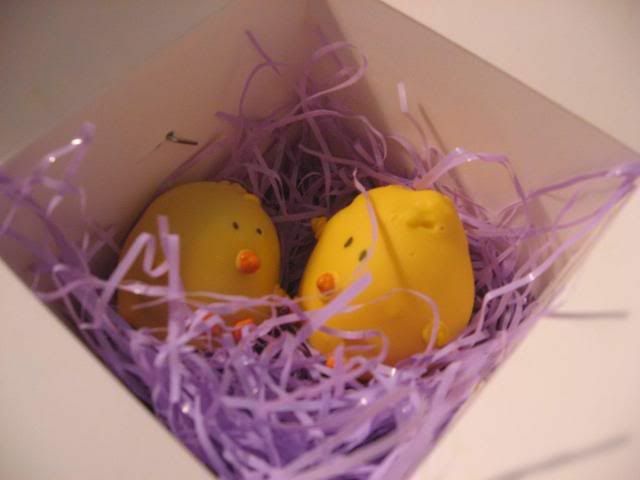 Even if you don’t want to go to the trouble of creating the chicks, definitely do try the cake and frosting. But oh, the chicks are fun! Mike loved them, and a friend said she didn’t know whether to eat them or photograph them! I warn you that with the chocolate cake and coating, they are quite rich, so if you’re not into that sort of thing, consider using a white cake. Also, if you want the same cute effect with less trouble, these cake balls work just fine with box cake mixes and store bought frosting. Enjoy! 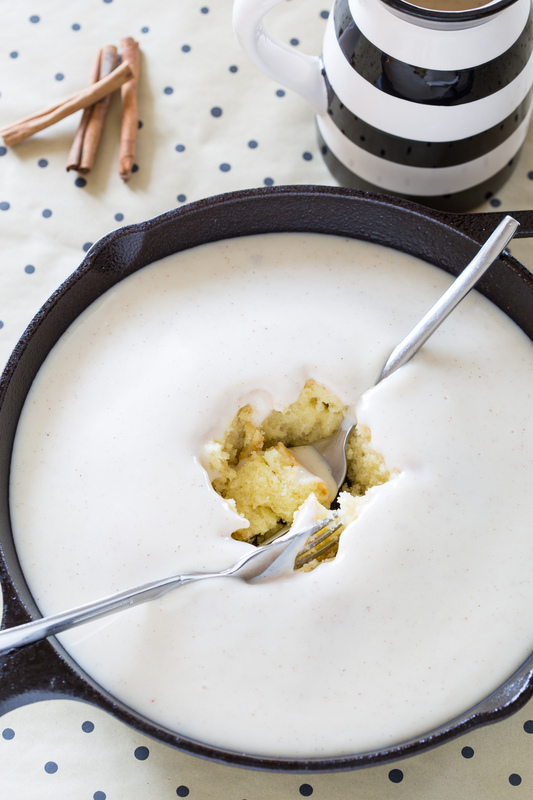 Make the cake: Mix first 4 ingredients together and set aside. Mix next 4 ingredients in pan and bring to boil, then pour over first mixture. Stir well, then add remaining ingredients. Bake at 350 degrees in a greased sheet cake pan, for 15-25 minutes (until a toothpick inserted in the center comes out clean). NOTE: If you’re not planning to make the cake balls, but just want a frosted sheet cake, make the frosting immediately and pour over warm cake. Make the frosting: Mix butter, cocoa, sweet milk and bring to boil. 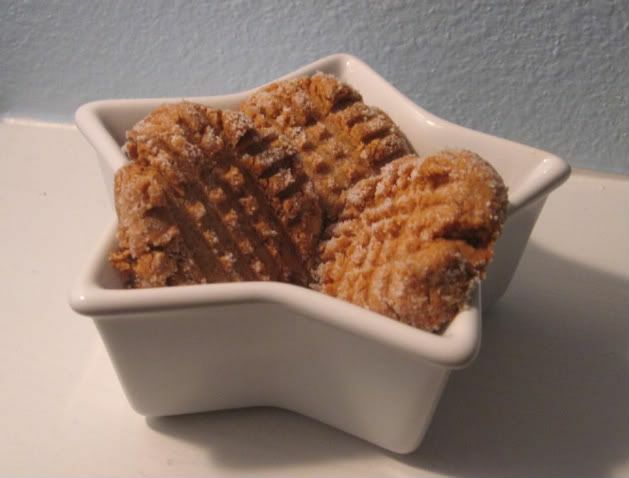 Remove from heat add confectioner’s sugar, nuts, and vanilla. Spread over warm cake OR, to use for cake balls, see below. 1. After cake is cooked still slightly warm, crumble into large bowl. 4. Chill for several hours / overnight. 5. 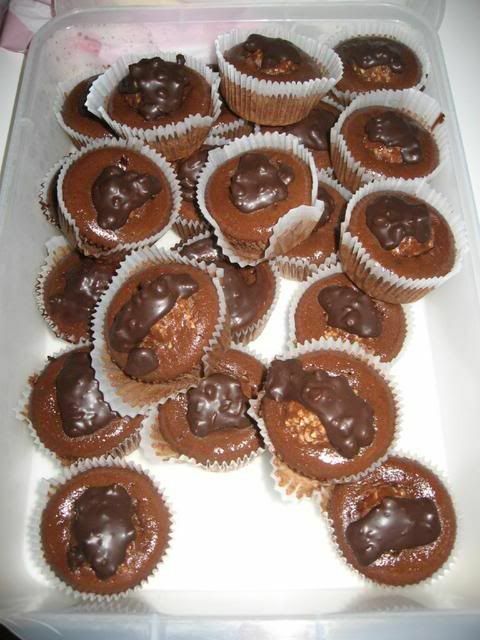 Melt chocolate (or candy coating) in microwave per directions on package. 6. Roll balls in chocolate and lay on wax paper until firm. 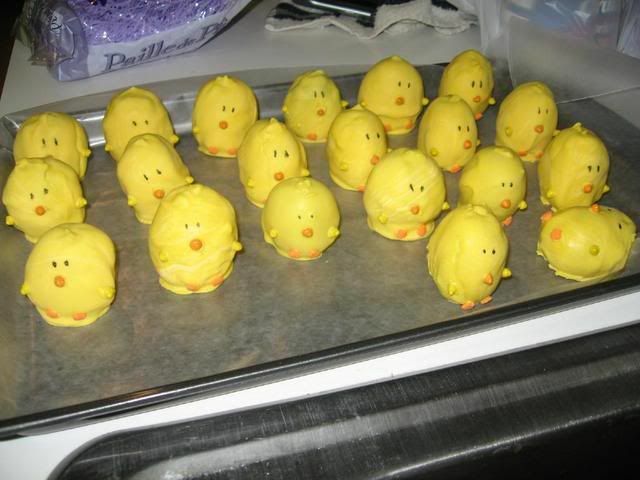 Little soldiers, ready to be dipped! 1. 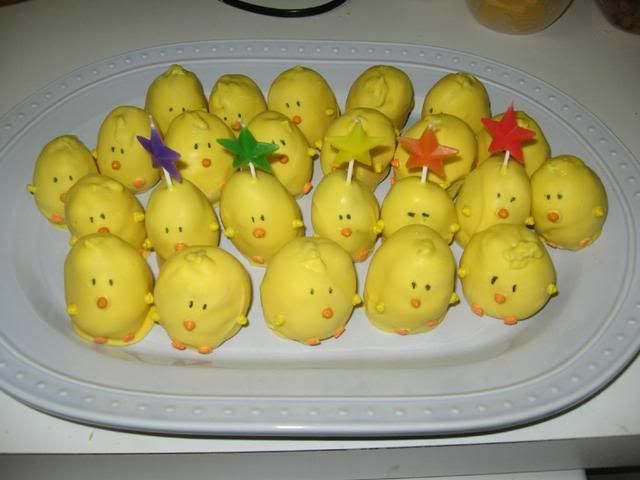 Once the round yellow candy covered cake pops are dry, use a toothpick to dip into the melted candy coating. Dab a little dot of the coating where you want the beak to go. Then, just take one of the orange rainbow chips and attach it to the pop. It works like glue. 2. For the feet and wings, use the same technique to glue on the other sprinkle shapes. 3. Use the edible ink pen to draw the eyes. NOTES: I refrigerated my cake balls a bit too long before dipping, I think. 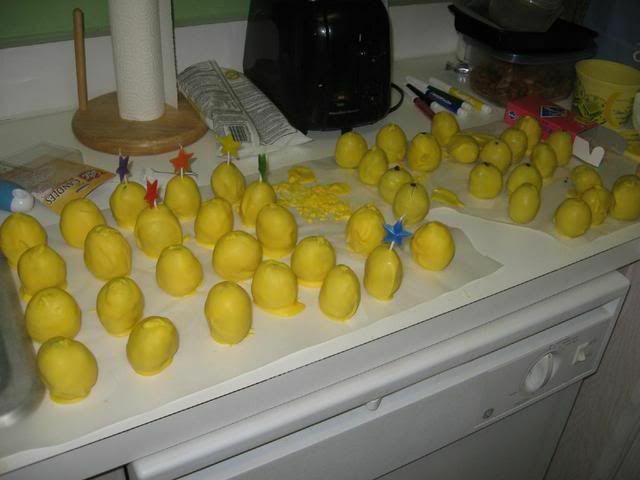 I made them one morning and refrigerated them until the next. They cracked and seeped a bit when dipped, indicating that EITHER they were too cold OR this cake/frosting combo has too much butter, perhaps? I’ve had better luck making the cake balls at night, refrigerating, and dipping the next morning. I had to double-dip my chickies for full coverage. 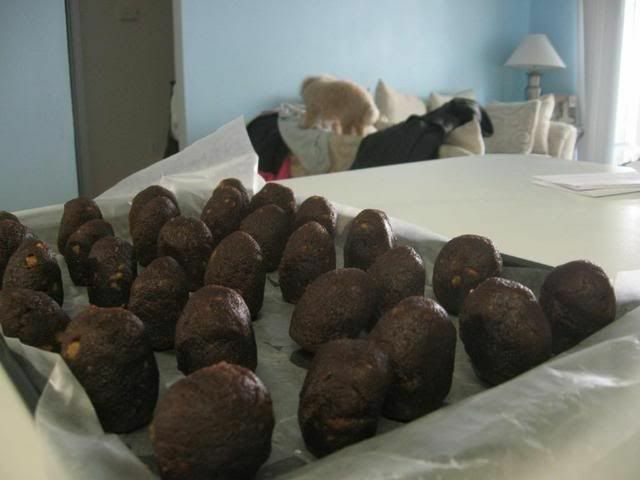 I held each cake ball on a bamboo skewer and dipped/spooned the candy coating over it. To prevent the cake ball from having a huge “foot” from puddling coating, you have to let the excess drip off for quite awhile before wiggling it off the skewer onto the wax paper. Happy Dipping! By the way, these are one of the many baked goods that I think taste LOADS better after being refrigerated in an airtight container! 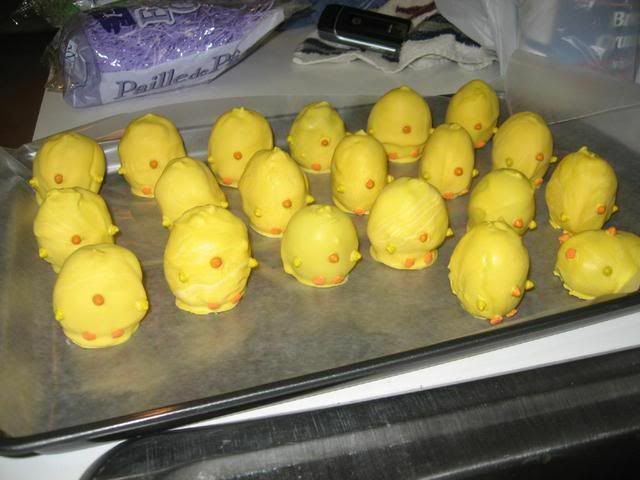 They were delicious the day we made them, but something about sticking them in the fridge made them extra wonderful! All together now, with some star-shaped birthday candles! I was excited about this recipe because of the possibility of making a weekday snack. I eat lower carb during the week, and since they have no flour, these cookies (when made with sugar-free peanut butter and Splenda) are low carb. About 125 calories and 5 grams of carbohydrates per cookie, to be exact. The only issue I was concerned about is the effect these substitutions would have. Natural peanut butter can be oilier or drier (depending on how well-mixed your jar is) than regular processed peanut butter, and Splenda works in most things, but not all. The cookies came out dry because of the peanut butter difference, and a little crumbly as well, but you know . . . for a low carb sweet, they hit the spot. After refrigerating overnight in an air-tight container, they were quite yummy. Nevertheless, if you’re not worried about the carbs, I would use regular ol’ JIF and sugar for a moister cookie. Mix ingredients together for about 2 minutes. Cover and chill in refrigerator for half an hour. Preheat oven to 325 degrees and grease a cookie sheet. Shape dough into small balls (and roll balls in sugar, if you’d like). Use the back of a fork to press balls flat vertically and horizontally (forming that lovely crisscross pattern). Bake for 18 minutes. Allow to cool on wire rack and store in airtight container. 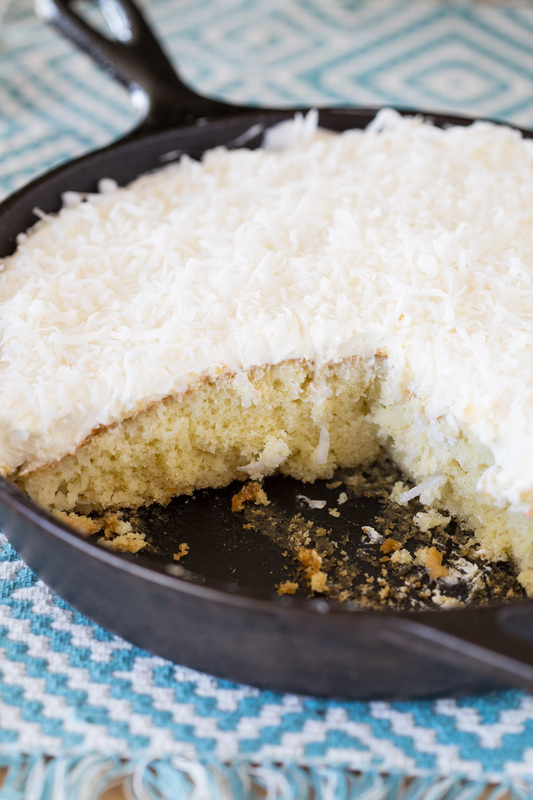 Note: As mentioned above, the low carb version of this won’t be quite as moist, but is yummy as a quick treat. If substituting low carb ingredients (and maybe even if not), I think refrigerating overnight in an airtight container makes the flavor better. If you’re making the regular recipe, I could see these being fantastic with some mini hershey kisses or dipped in jam, as several folks on the original post suggested. Mmm peanut butter cookies! Enjoy! I showed you the pretty ones, but I thought you might also like to see my Ferrero Rocher Failcakes! I have my share of kitchen disasters. 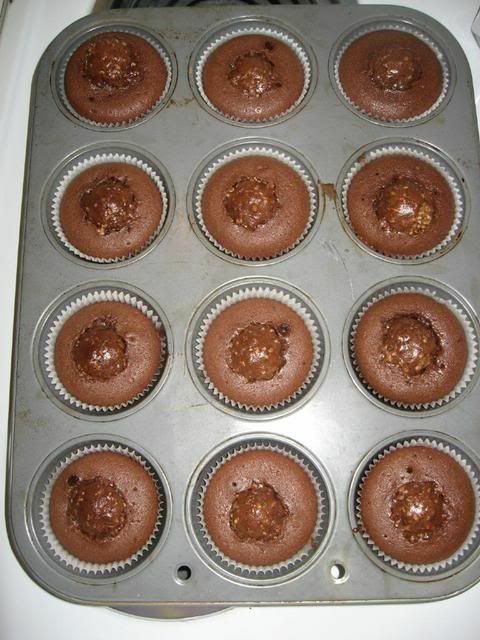 While I was happy with my second batch of Ferrero Rocher Cupcakes, the first batch didn’t quite turn out . . . to say the least! The chocolate cupcake recipe I was using didn’t say anything about adding baking soda and powder (they were in the ingredients list, but not in the directions, which I always go by) and so . . . I didn’t! Oops. Lesson learned: always cross reference the ingredients list. The failcakes still tasted okay, but were quite dense and not so pretty! I drizzled some extra ganache over them just in case we decided to eat them anyway. As of right now, though, they’re sitting in the fridge untouched.